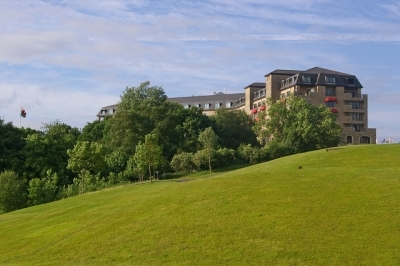 The nearby Celtic Manor Hotel has a lot to offer visitors from spas, massages and other treatments to fine dining and golf. The spacious multi-facility resort can cater for everyone. Supervised childrens activities provide parents and grandparents time to relax during a family visit. Not far from Newport, The Roman Legionary Museum is one of the top national museums in Wales and houses an extensive collection of Roman artefacts as well as mosaics and interactive activities. The museum is inside the ruins of the Caerleon fortress and has the remains of the only legionary barracks on view anywhere in Europe. Tredegar House and Park is one of the top examples of a 17th century country house in the UK. Its expansive 90-acre grounds, fascinating servants quarters as well as impressive staterooms make it a great day out. Newport City Centre is good for shopping, easily accessible with lots of brilliant independent stores, national high street retailers, cafes and facilities. Built in a grade two-listed building in the centre of Newport The Chandlery is a popular and award-winning restaurant with good service and food. All reasonably priced.